So the Asus Eee PC 904HA for sale in the country! 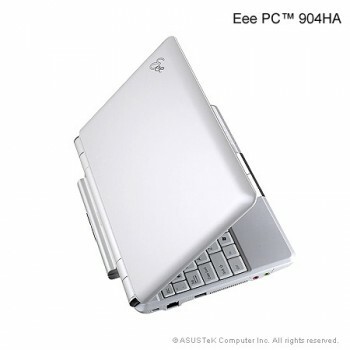 The difference between the new Eee PC and the “Old” Asus Eee PC 900HA is that the 904s comes with 4 cell battery, but Eee PC 904HA comes with 6 cells. It results to a better battery performance – it is clearly the best among the best netbooks. The battery is in fact similar to the Asus Eee PC 1000H, but with the smaller screen the battery life will of course perform better. As the main rumors about 904 model predicted, there is also focus on the keyboard. It is reported that the size is 95% of a normal notebook keyboard. To make room for a much better keyboard the machine is encapsulated in a cabinet, that comes from Asus Eee PC 1000- series. It means that you get a plastic edge around the screen (as you can see in the picture below) and it is as big and clunky as a 10” netbook even it only has a 9” screen. The weight is actually a little bit less than the 10 inch netbook. But the keyboard has been everyone’s problem when it comes to netbook or mini-notes, so in general this will be a perfect machine for many people, a cheap machine but with a much better keyboard ad much better battery life than the example you find on an Acer Aspire One, which costs the same. 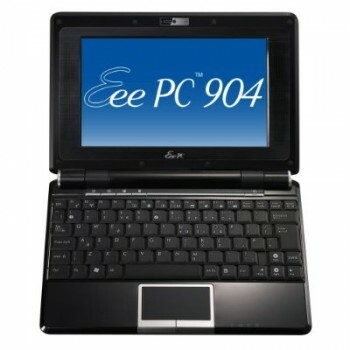 And after all the Asus Eee PC 904HA still so lightweight and small, it won’t be a problem to have it with you. Perfect for people who actually uses their machines often when they are on the go- such as reporters or writers. Brief News: HA takes over the entire market!